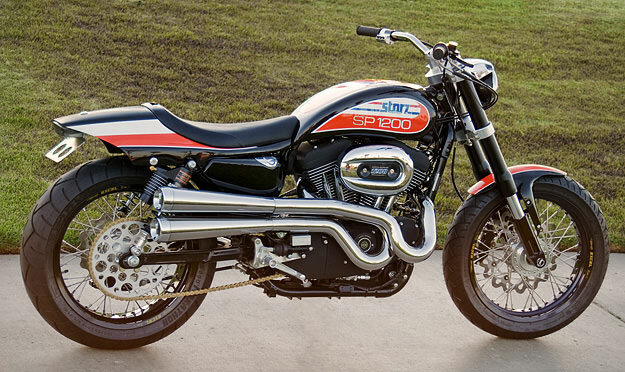 Storz Performance introduced its XR 1200 dirt track kit for the Harley-Davidson Sportster way back in 2005. Earlier this year, Harley acquired Storz’ trademark rights for “XR 1200”—so the kit is now known as the SP 1200. It includes Storz/Ceriani 55mm inverted front forks, Flanders Café bars, a high pipe exhaust system, and a hand-formed alloy gas tank.